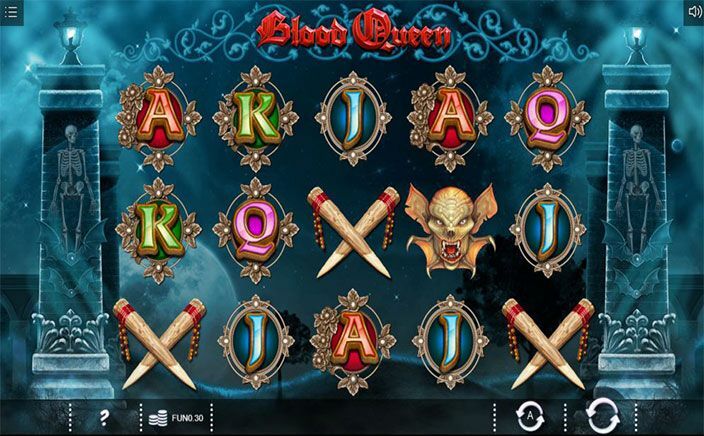 Blood Queen is a slot game developed by the Iron Dog Studio having 5 reels and 30 paylines. The slot features horror romance having great visuals and sounds that seems quite interesting. The reels have a setup of a scary moonlit graveyard that is enough to set your nerves all icy. The betting range in Blood Queen slots varies from 30p to £90 per spin. The symbols having lower value are the playing cards which have been set within pendants encrusted with diamonds. A ruby, grotesque demon and tusks are also included in them. Van Hell is one of the most rewarding symbols as it will award 800 coins if you land 5 of them on a single payline while on the other hand Blood Queen rewards 1,000 coins if you land 5 of them in a single combination. The wild symbol is the gargoyle which on landing on the reel turns that corresponding reel wild. It, thus acts as an expanding wild. It also acts as a stacked wild, thereby providing some huge wins. The sound effect accompanied with the gargoyle symbol is quite immersive. It keeps the players looking out for this symbol throughout. In the Free Spins Feature, landing three, four or five scatter symbols will reward you with 20, 30 or even 50 free spins. There are two rounds out of which you have to pick any one. Opting for Van Hell will fetch you Holy Water Wilds which on landing will provide 4 free spins. These wilds will move vertically and then horizontally. Choosing Blood Queen will give you a chance to play Blood Potion Wilds which can fill any of 3 reels. On hitting reel 1, they move one reel to the left before getting disappeared. Many Blood potion wilds can also land on the same free spin. Both Blood Potion and Holy Water can result in some huge wins if more than one of them land. The well-constructed visuals of this fully horror-themed slot have a Gothic and a creepy feel. The variance of this slot ranges from medium to high as the highest win is worth up to 4,000 times the stake. 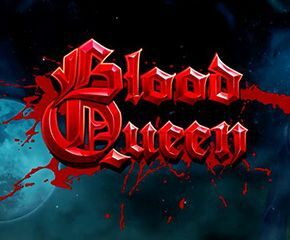 Blood Queen slots have a return to player percentage of 96.07% comes in the category of impressive slot games.